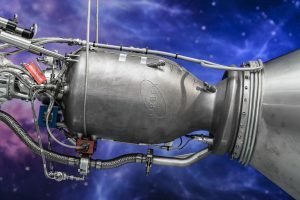 UK-based spaceflight company Orbex has unveiled the world’s largest 3D printed rocket engine as part of its Prime Rocket program. Designed to deliver small satellites into Earth’s orbit, the Stage 2 rocket prototype is made from a specially-formulated lightweight carbon fiber and aluminium composite. According to the company, the Prime launchers are up to 30% lighter and 20% more efficient than any other vehicle in the small launcher category. This enables the Orbex launcher to pack more power per cubic liter than many of its heavier counterparts already on the market. The 3D printed rocket engine was uniquely manufactured in a single piece without any joining, in partnership with additive manufacturer SLM Solutions. This gives the engine an advantage over other rocket engines that suffer from weaknesses associated with joining and welding. It is also the first commercial rocket engine designed to work with bio-propane, a clean-burning, renewable fuel source that cuts carbon emissions by 90% compared to fossil hydrocarbon fuels. The bio-propane fuel is being supplied by Orbex’s new exclusive BioLPG fuel partner, Calor. The Prime rocket was unveiled at the opening of Orbex’s new headquarters and rocket design facility in Forres, of the Scottish Highlands.